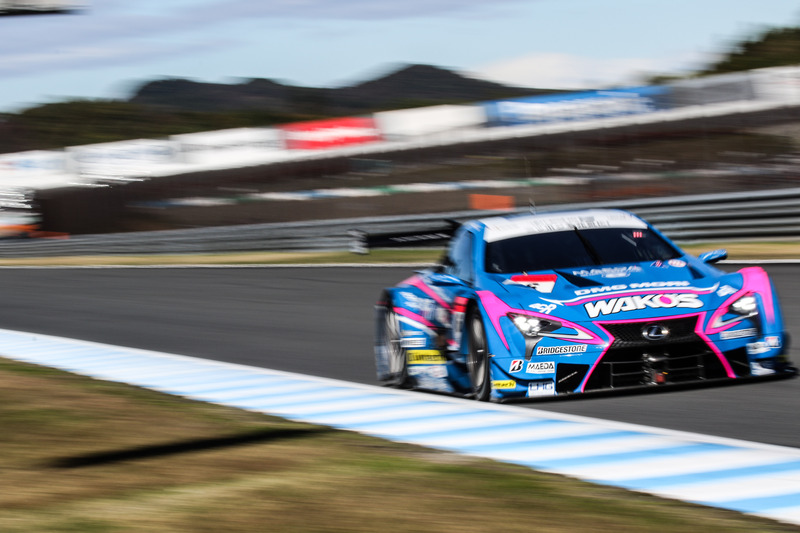 Felix Rosenqvist and team-mate Kazuya Oshima finished in sixth place in the final race of Japan’s Super GT series at Twin Ring Motegi on Sunday. The Swedish-Japanese pairing qualified in tenth on the grid, but made progress in the early stages as Rosenqvist battled through to fifth thanks to an aggressive opening stint. He handed over the Team LeMans-run Lexus LC500 to Oshima on lap 24 of 53, with the Japanese then crossing the line in sixth. Rosenqvist and Oshima have scored a second-place finish as their best result this season, adding another two top five finishes from eight races run. The 2018 Super GT title went to ex-Formula 1 world champion Jenson Button and Honda team-mate Naoki Yamamoto, who finished third at Motegi to beat Lexus pairing Nick Cassidy/Ryo Hirakawa to the crown. Rosenqvist/Oshima end up tenth in the final classification. The Motegi finale was won by Honda’s Tomoki Nojiri and Takuya Izawa.